Praise, in my opinion, is the most powerful motivator that you have in your arsenal. I place positive language way above the incentives of earning KidCash or anything else. Calling attention to all of the wonderful things they do will not only make them feel good about shifting their behavior but encourage them knowing that their parents love and believe in them. 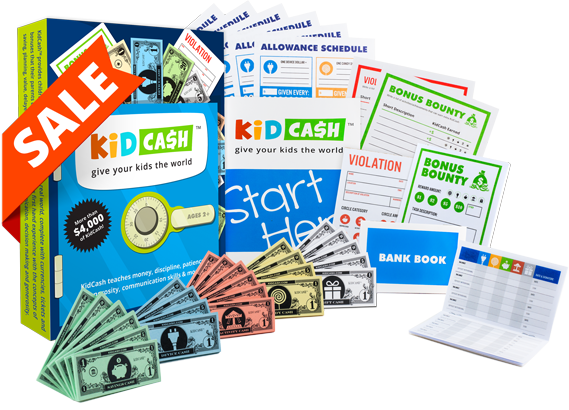 KidCash was built as an easy way for you to systematically highlight the small accomplishments they make daily. Combine verbal praise with the ability to earn rewards. The rewards themselves translate to the child's ability to control what they can do and have in their lives and so it serves as another form of lending trust to the child and encouraging independence. Whenever I notice something positive that the children have done, I write it down. I will repeat it at the end of the day as well as when we give out allowance. I will mention these things randomly as well. How do I know it's important to my child? I hear him repeating these messages back to me with why he's making a productive decision. Not only is it motivating him, but it's building up our relationship as he sees me as a person who watches and cares. We encourage positivity as a way to use our product for many reasons other than making your job easy. We hope to give you the best shot of getting their attention, getting through to them and building a close relationship built on communication, trust and love. We hope this helps gives you more ideas in your daily journeys taking care of these little ones. As always, happy parenting!